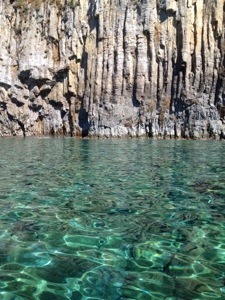 I’m still reeling from the beauty of our tiny holiday to Ponza. You know how it goes: you’re sitting in a bar, or maybe a restaurant, with friends. It’s an early summer evening, but that back-note of Rome’s high summer mugginess is already beginning to wisp tendrils round your neck, presaging the hot soupy air of dog days and August nights. But that’s all in the future. A summer of work beckons, but with the vitality of term’s end bubbling, a couple of hard months of research look retrospectively like a vacation for the spirit. Talk turns to holidays, for people who can live the Roman style and get out of town for ferragosto and beyond. Talk turns to sea breezes, and sailing. 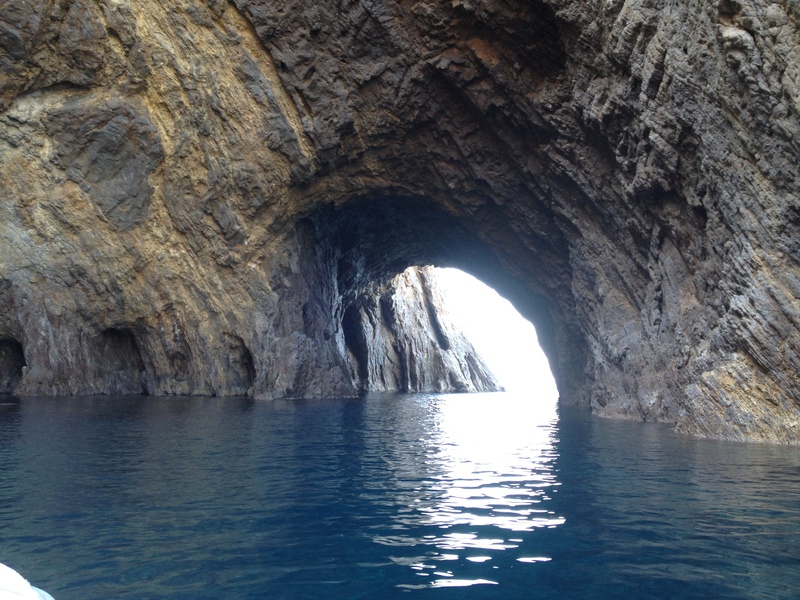 Talk turns to the Pontine Islands. 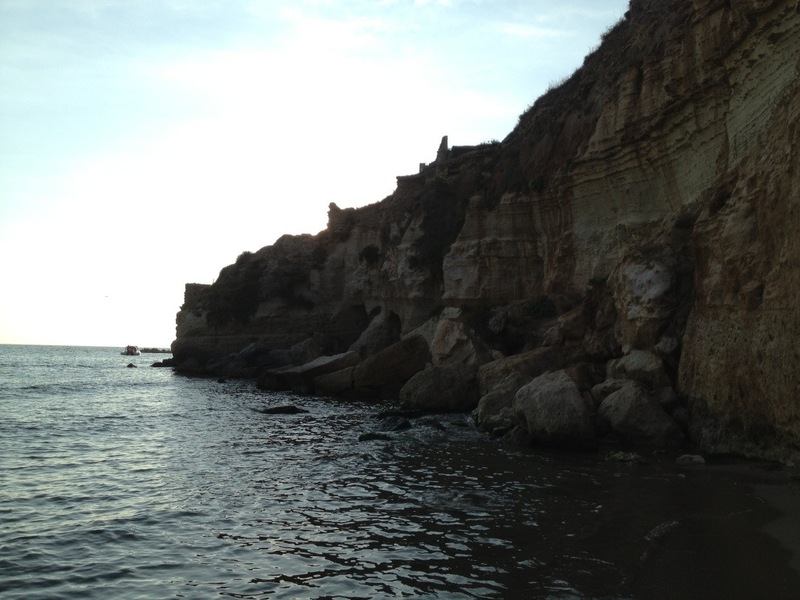 Ponza has been simmering in my mind for years, but only this summer took centre stage. That warm Roman night in early July we heard how magical it was, how easy to get to, how our summer shouldn’t end this year again without a trip. Getting home and small-hours googling ferries meant suddenly we’d wrested a few days annual leave from the dying days of summer, and were Ponza-bound in early September. We started from (Nero’s) Anzio. It’s one of my favourite seaside port towns (evoking childhood trips to Bray, but that’s stories for other days), and we spent an especially gilded day there last summer with two close friends. Our B&B was simple but friendly, and while the room was old-world in various ways, it was large, opposite the archaeological museum, and five mins or so either way to Station and Port. I was determined on a genuine holiday — none of the buswoman’s business that illuminated Abruzzo in July. Just fun. But we’d been attempting to visit Anzio’s archaeological park and imperial villa remains for years; this seemed a moment to seize. The little archaeological museum (free entry) is charming, and has lovely and evocative pieces. I felt sad for its loss of much that’s really substantial of Anzio’s ‘finds’ to Rome (Palazzo Massimo in the main), but the politics of heritage and its presentation are complex. We had time for a quick dash round the under-the-same-roof Anzio Landings museum: chock full of donated ephemera, uniforms, equipment it’s a bit of a lucky dip, but in its confusion, oddly, there’s a compelling sense of history. Next, a dash across town to the archaeological park. The road is lined with tamarisks; lovely creatures, but very imperially minded and minimally donative of shade. We were hot and slightly scratchy in temper by the time we got to the park, and believe me it’s only because it was so meagrely an experience, so stunningly unimpressive, that we were able to laugh a great deal about it. Especially when we fled down to the beach for a reflective paddle. and to view the (much more visible down below!) remains. Late and multi-platter lunch at the harbour, at La Fraschetta del Mare, left us a little dozy, so despite the wake-up candy-colours of Anzio architecture an early-ish night beckoned; depositing us awake and zipping down to the hydrofoil in our B&B host’s car at 0730. About 90mins after leaving Anzio with Vetor Aliscafi we were strolling up through Ponza’s Bourbon-flavour streets to our hotel. Breakfast #2 was irresistible; the view from the breakfast terrace a jewel box of hot colour and straw-gold light. It seemed churlish not to change directly into swimmery and after unpacking, catch a water-taxi from the harbour to Frontone beach. It’s a shingle strand, a narrow stretch between deeply shelving waves and dramatic cliffs. I’m such a pale-face — lettoni and ombrelloni are always required. Thus commenced a four-day step out-of-time. Dinner across the water that first night drifted into a morning trip to the harbour to collect our rental boat, after which we were mostly afloat until finally reaching Anzio again on Thursday evening last. Salt cracked and caked everywhere, lending a briny tang to fruit we greedily ate in between snorkelling epics through tiny cove-kingdoms. Pizza al taglio (tomato and mint, aubergine, cicoria and caper) and the breeze of open water were excellent appetite whetters. For the final two days, after an evening gazing across sunset-illuminated Palmarola from Le Forna, we made the crossing to Ponza’s next sibling along. The helpful boatman suggested various coves, sail-throughs and delights we should be alert for. Our first Palmarola crossing took us over some higher seas that our 15hp engine was wholly happy with, and we were glad to ease into a restful few hours in a secluded cove where water-line caves made for shady respite from swimming in the glittering sun. A quick circumnavigation before making our way home suggested there was much more to investigate, and ensconced in a 25hp upgrade the next day we explored just about every inlet, and in-and-out-let. Our first day making the Palmarola crossing we saw a dolphin; hoped it was fortunate not an indication of dufferish unseaworthiness. The second day it was a hurly burly of flying fish, flittering and skimming just above the kissing waves. The magical and otherworldly aspect didn’t fully come home to us until we tried to revisit our lingering cove of the previous day. Try as we might, casting a churning wake up and down well out from coast, then slowing to make closer and closer approaches, that cove entrance was just impossible to recapture. Did we dream it? There was a languor and haze to to the first of the Palmarola days which makes me think that perhaps it was a carpe diem shot, a one-off, rewarding the ambition of our nervous open-water crossing, the water we shipped, the odd elevator-wave. Who knows? the last day had its own bitter-sweet end of summer charms, and after four days of island-hopping life I felt ready to contemplate home with the promise of Pontine delights waiting on another summer. The return to term-life has been rather more brutal than I’d expected, so the memory of Ponza and Palmarola now all the more cherished.